Charice with Black Eyed Peas' Taboo :). . HD Wallpaper and background images in the Charice Pempengco club tagged: charice black eyed peas taboo studio. 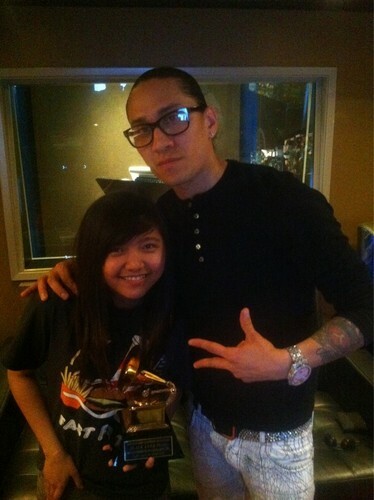 This Charice Pempengco photo contains salaming pang-araw, dark glasses, and shades.